Sony is a global leader in electronics products, but the Japanese multinational conglomerate once lost this status as a premier brand, at least for the brand loyalists. How did Sony, an iconic brand for Filipino consumers, regain that lofty position in the world market? It took a marketing strategy mapped out by Harte Hanks (NYSE:HHS), who is known for driving growth for the world’s largest brands, to turn things around for Sony, one of the world’s largest television manufacturers. With consumers having more options, how could Sony Corp. generate consumer buzz around its products, and then translate that into long-term loyalty that drives growth and profitability? Harte Hanks, which will incidentally open on April 21 its BPO-call center at the Mall of Asia Complex, in Pasay City, and the Japanese company devised an integrated marketing campaign that leveraged the power of untapped data from Sony’s existing and prospective customer base. The idea was to keep them a step ahead of the customer. “We deliver real interactions and measurable engagement results for brands the world over,” said the US-based marketing firm, who had established a main and two secondary locations in the Philippines more than a decade ago. The MOA facility will consolidate Harte Hanks Philippines’ BPO-call center operations in the country. The campaign included key elements like direct mail to drive traffic to Sony’s website and Email communications to deliver just the right product information at the right time. Sony also implemented catalog drops and free standing inserts (FSI) that would engage the customer on a more frequent and relevant basis, resulting in a more engaging and profitable consumer experience, and enhancing loyalty across multiple products and devices. The Harte Hanks’ strategy paid off as Sony’s sell-through and product registrations, cross sales and conversion rates, and customer satisfaction have all significantly improved. The company registered a 41 percent growth in revenue and 100 percent increase in email open rates because of the successful marketing initiative. 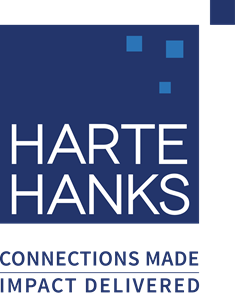 Harte Hanks partners with clients to deliver relevant, connected and quality customer interactions. Our approach starts with discovery and learning, which leads to customer journey mapping, creative and content development, analytics and data management, and ends with execution and support in a variety of digital and traditional channels. We do something powerful: we produce engaging and memorable customer interactions to drive business results for our clients, which is why Harte Hanks is famous for developing better customer relationships, experiences and defining interaction-led marketing. For more information, visit the Harte Hanks website at www.hartehanks.com, call 844-233-9281, email pr@hartehanks.com or follow us on Twitter @hartehanks or Facebook at https://www.facebook.com/HarteHanks. This press release contains forward-looking statements, including statements about the company's leadership transition, services and clients. A number of risks and uncertainties could cause actual results to differ materially from currently anticipated results. Additional important factors and information regarding Harte Hanks that could cause actual results to differ materially from those indicated by such forward-looking statements are set forth in our Annual Report on Form 10-K, as filed with the SEC and available in the "Investors" section of our website under the heading "Financials & Filings." We specifically disclaim any obligation to update these forward-looking statements in the future even if circumstances change and, therefore, you should not rely on these forward-looking statements as representing our views after today. As used herein, "Harte Hanks" refers to Harte Hanks, Inc. and/or its applicable operating subsidiaries, as the context may require. Harte Hanks' logo and name are trademarks owned by Harte Hanks. All other brand names, product names, or trademarks belong to their respective owners.